This weekend I wanted to test out the new Xterra racing rig (Titus Racer-X) and start to sharpen my skills before the impending Xterra regional race in May. I made the trip up to the Quad Cities where my Alma Mater (Augustana College) was having a ceremony dedicating the new track to my former XC and track coach. As it happened the first race in our Central Illinois I-74 mtb series was the next morning on a little island in the Mississippi. 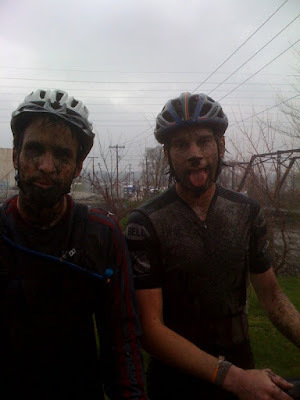 As you can tell it was a mudfest. I raced in the sport (midle) category which was supposed to be 16 mostly techinical miles (4X4 loops). Thunderstorms and continual rain led to the dropping of a lap to 3 loops. The perimeter of this island is only a little over a mile, so as you can imagine, they used all the real estate available for this race. There were very few fast open sections. It was almost all technical singletrack- which proved to be a good tune-up for me. The longest open stretch came at the start and was probably 1/4 mile long. Someone snapped a chain (or more likely tried to shift under a heavy load) and created a big pile-up that briefly took down my buddy Sean (above) and sent a few people to the hospital. I got caught behind the pile-up and entered the singletrack down quite a few spots. The single track was chock full of tight muddy turns, logs, roots, cement and all manner of things designed to reacquaint you with gravity. Long story short, I mostly stayed upright and moved up through the field. The new bike handled beautifully with no major problems- I think I burned up an entire set of brake pads though! I finished 5th overall with Sean literally on my wheel. I'm pretty happy with that result as my first pure MTB race in more than 10 years. This will be the only mtb race I will get in before the Xterra regional in May, so hopefully it was enough to dust off the handling skillz. This past winter represented my longest break from consistent training since I don't know when. 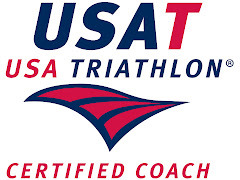 I always take a month or two completely off after an Ironman to recover and recharge. Kona was the culmination of a quite a few years of training, so a longer break was in order. 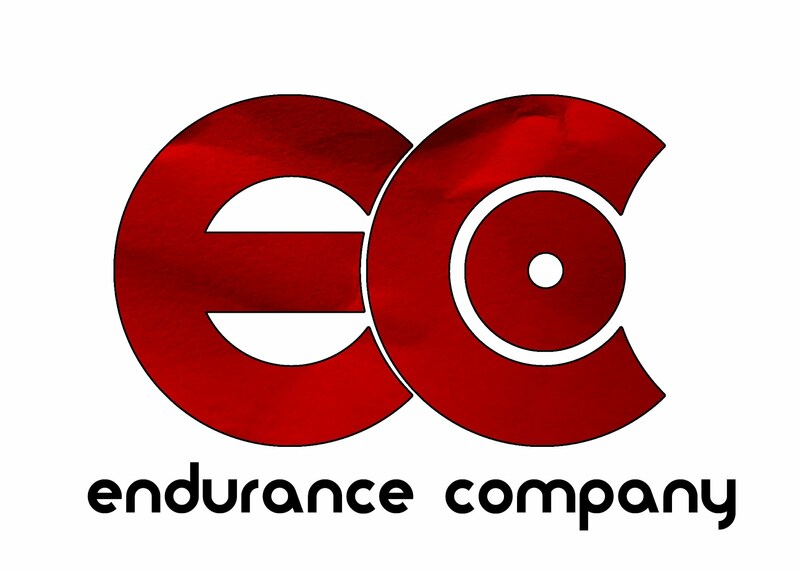 Post-Kona I spent much more time with my family, caught up on a number of home rennovation projects and launched a coaching company. 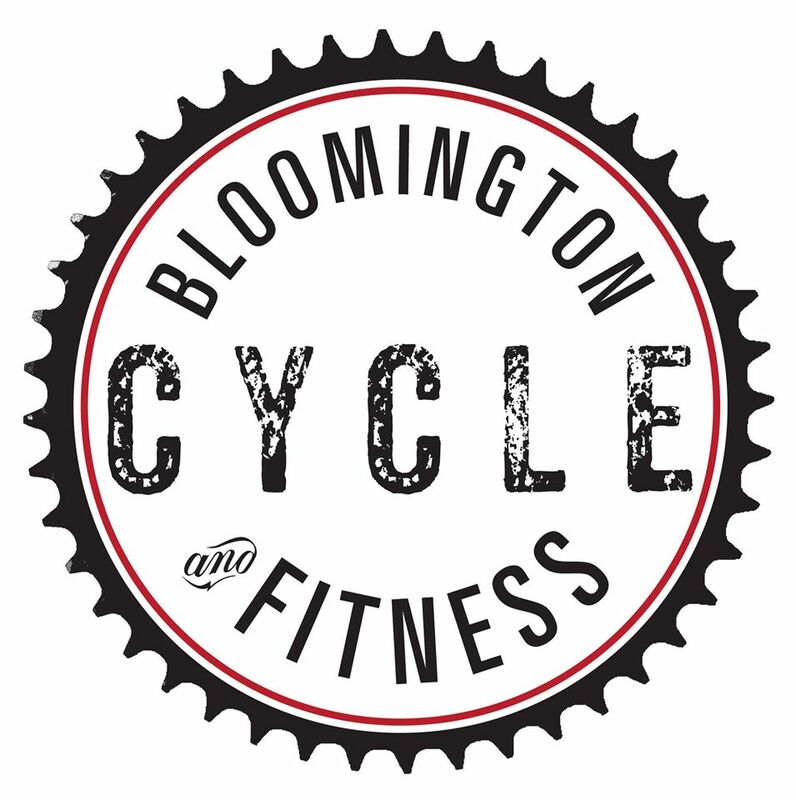 These endeavors extended my off season through the winter (aside from a few cyclocross races). Between spending time with Jonah, Cara's grad classes and keeping up with coaching, training time has been hard to come by. I really didn't know what to expect from New Orleans other than it would tell me where I was at fitness-wise. Due to time constraints I pretty much have cut out swimming since October. I did a couple trainer workouts over the winter, but nothing rigorous. I managed only a single outside ride on my tri bike before the race! Running has been easier to work in and I had a solid base going into NOLA. As evidenced by my earlier post, New Orleans was more about experiencing the city with my team than it was about the race. Mission accomplished! After enjoying the food and the sights for a few days the fact that I had a half-IM to race kinda creeped up on me! I was banking on years of race experience and some of the training that I did for Kona last season to get me through the day in a reasonable early season time. On race morning we woke up at about 5am to find that it was already 72 degrees and humid. This would be the first indicator that the day wasn't going to treat us northerners kindly! The swim was point-to-point in Lake Ponchatrain (yes that is the lake that flooded during Katrina!). During our first practice swim we were in 3 foot rollers that were the worst I ever swam in. By race morning the wind was still there, but the direction had shifted giving us mostly calm waters. Water temp was low 70s so I was in my sleeveless 2XU wetsuit. I vastly prefer the sleeveless unless the water is under 65. I overheat and feel too constricted in long sleeves. I knew I couldn't really push the swim without any traing to back it up. Therefore I focused on good form and drafting when possible. I hate hot water so the temps were actual decent for a wetsuit legal swim. I did start getting more shoulder fatigue than usual about 2/3 of the way through. I started getting antsy and was feeling like I had been swimming for too long when I rounded a corner and saw the swim exit. The swim timing mat was quite a ways up the beach which added a bit more to the times. I saw 31 something on my watch exiting the swim, and my chip time was almost 33. So about 3-4 minutes off my normal swim times. Looking at all the times the course may have been a touch long, but not more than a minute or so. Little disappointing, but I didn't really expect much faster. I saw teammate Robby B. in transition, meaning that he had smoked me in the swim by about 4 minutes! Since it was during the swim he totally missed his opportunity for a team spank! Heading out on the bike I noticed that the winds were picking up some more. My last tri was on a hot, windy island and this wouldn't be the only time during the day that I would think about trying to find some cooler races to do! Going into NOLA I hadn't even done a Functional Threshold Power Test to determine my race zones. This was mostly on purpose, because I knew if I was going to be at all competitive I would probably have to ride above my recommended ranges. In other words, I was knowingly setting myself up for the possibility of blowing up big time. I'm pretty sure that I was passed by more cyclists in NOLA than I was at Kona. 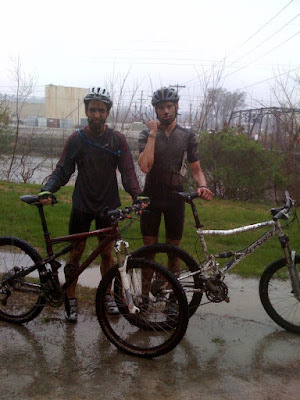 Those Southerners are in good bike shape in April! I was actually surprised at the power numbers I was holding on to. Nothing spectacular, but better than I thought. On paper the whole NOLA course should be one of the fastest anywhere. The only hills are a couple big bridges on the bike. Unfortunately, the winds and the heat both increased throughout the day. The bike course leaves the urban areas of New Orleans fairly quickly and heads out into some pretty classic bayou country. I distracted myself from the winds by scanning the swamps for gators, but never spotted any (as consolation teammate Charlie invited me to come back down sometime and go gator-hunting!). First year races are always a risky proposition that I usually avoid. This one was directed by Bill Burke who has put on tons of high-profile races including Hyvee which was the last olympic qualifier last year. The swim and transition were ok, but the bike course needed more aid stations. Later in the day some of the aid stations ran out of fluids which is unacceptable with the kind of race fees they were charging. There were also problems with shuttle buses to the swim start and then back from the finish to the transition area. Given Bill's reputation, I would expect these to be corrected next year, but still some glaring problems. Back to the bike my lack of fitness started to show around mile 40. My power numbers started falling off and my cadence started dropping- bad signs. I had slight cramping in my glute which never happens to me- another sign that I was lacking in bike miles. On the positive side I knew I could gut out 15 miles and get to the run. I lost some speed during the last hour of the bike, but didn't get passed much which indicates that everyone else was suffering in the wind and heat as well. Final bike time was 2:35 (about 21.5 mph). The silver lining here was that I somehow eked out 228 watts ave. In peak form I am usually around 250, so 20 watts off peak is actually quite good for this time of year. I was best trained for the run, but had pushed the bike harder than I was trained for. The cramping glute worried me a bit, but it got straightened out in the first few miles. For the first 3 miles or so, I thought I might be in for a very long day. I was running ok, but it was taking more effort than it should have. Also during the first part of the run the sky was crystal clear and the sun was really beating down. I had gone through about 4 bottles of Infinit plus another 3-4 bottles of water on the bike, so my hydration was good. I kept that up by taking 2-3 cups of water at every aid station. Around mile 4 something clicked and I hit my normal running stride. I started reeling back in all the cyclists that had overexerted themselves in the wind. About 1/2 way through the run I started catching up to the back end of the female pro racers (they started a wave ahead of me). I'm pretty sure that no more than 1 or 2 people passed me on the run that I didn't eventually catch. Miles 4-10 went really well. My feet were blistering, but I was clicking off what felt like high six minute miles. Lack of mileage caught up with me around mile 10 and I suffered quite a bit the last 3 miles, but only dropped a bit off pace. I spotted Tracy very near the finish and flashed my trademark "grimacesmile". I was definitely ready for this one to be over! Run time was 1:31 so right at 7 minute miles. I had planned on running under 1:30, but given the heat I'll take it. I was 16th in my age group. Last time I raced a 70.3 (Steelhead) I won my age group, so this tells us 2 things: #1 NOLA is a really big and competitive field and #2 Chris still has some work to do to bring back the "A" game. After the race I had the privilege of having a massage table right next to Natasha Badmann. I talked to her a bit about the race and only found out later that she had a huge comeback victory at NOLA. Natasha is one of Cara and my favorite triathletes and it was great chatting with her about the race. I also caught up a bit with some of the pros from the Zippcast interview. Linsey Corbin had a decent day with a top-10 finish and Desiree had a tougher day, but just came off a big 10K win. The winds weren't kind to big racers and Chris McDonald gutted out a top-15 finish. Post-race we scored one more excellent meal and made the obligatory trip to Bourbon Street. Mr. Stenzel made his debut as a bull rider, Stu spotted a gorgeous lugged steel bike and I determined that Bourbon Street Hurricanes have about as much alcohol as a K-Mart Slushee. All in all this was an awesome roadtrip with my team and an acceptable season opener. A big thanks to Steve Stenzel for serving as team photographer for the trip! In one of those weird coincidences as I was finishing up editing this post the song "King of New Orleans" by Better than Ezra came up on the random shuffle on my I-Tunes. There are about 6,000 songs on my I-tunes so a particular song doesn't come around all that often. Excellent song. Anyway you look, anyway you talk it over. It's easier to let it slip out of your mind. But it rips your heart out. Then it kicks your head in. try to see the beauty in his world. in on my feet,and shoulders. Going to make twenty dollars before the weekends over. Turn him over in your hands. God save the King of New Orleans. Laissez le Bon Temps Roleur! Mardis Gras. Fat Tuesday. Blues. Jazz. Beads. Beignets. Jambalaya. Gumbo. Bourbon Street. Katrina. Crawfish. Bayous. Absinthe. Lucky Dogs. Levees. Creoles. Walker Percy. Café Du Monde. The Big Easy. Even if you’ve never been there, playing word association with New Orleans is a simple task. It is one of those iconic American cities that is part of our national psyche. One of the things I love about triathlon is that it has taken me to some beautiful areas of the country that I probably would have missed otherwise. I had never been to New Orleans before and probably wouldn’t ever schedule a family vacation there! So when it came up as a possible Evotri team race I was all for the idea as long as it was a roadtrip! The race is very early for us Northerners who are still trying to fit outside rides in between snowstorms, but the opportunity to visit NOLA outweighed these “minor” details. As a bonus, our teammate Charlie (TriCajun) would be our resident “local” and tour guide. It has been a good number of years since I have been part of a proper roadtrip. With airline bike fees that amount to highway robbery, I see more of these in my future. Our plan was to rent a cargo van and hightail it south. The roadtrip crew consisted of myself and my 3 Wisconsinite teammates: Stu, Robby B. and Michelle. This epic adventure began on the Wednesday before the race. To maximize our New Orleans time, our most excellent itinerary (courtesy of Robby) called for driving all night Wednesday and arriving early Thursday morning. The road trip did not disappoint. Much silliness and smack talk (mostly at Stu’s cost) ensued. The highlight of the trip down was definitely dinner. For me personally, the trip South was just as much of a culinary excursion as a triathlon destination. I have more than a passing fondness for Cajun food and couldn’t wait to try as much of the real thing as I could cram down before and after race day. This created the necessity for Rule #1 of Evotri roadtrip: “Thou shalt not eat the forbidden and nasty food served by chain restaurants.” Dinner time on the drive down put us in Southern Missouri for dinner. Still too far north for Cajun food, but right smack in the middle of barbecue country! A beacon from the great god of pit barbecue led us from the interstate to the shrine of this holy land: Chubby’s BBQ. I knew before we hit the gravel parking lot that BBQ nirvana awaited within. The all-particle board interior reinforced the notion that this establishment cared about their product over pompous décor. Robby B. and I split the Chubby’s Sampler which should have rightly been reserved for 4+ human beings. From the pit barbecue Cubby’s procured ribs (of course), pulled pork, ham, chicken, bbq beef and a plethora of sides. Chubby’s did not disappoint with some of the best ribs and pulled pork I’ve ever had. I predicted that my salt levels would be topped off for the next month, and I’ll stand by that. We arrived in New Orleans at about 3am and since I couldn’t convince anyone to go straight to Bourbon Street we checked into our awesome accommodations for the weekend. Thanks to a Stu connection, the team was staying in a huge old New Orleans home. This was so much better than a hotel for both team atmosphere and for getting a true sense of the city. Thursday morning we got up and headed to Lake Ponchatrain (yes we swam in that lake!) to do a swim. Winds were out of the north and kicking up huge 3ft swells. Not to be deterred the fearless members of Team Evotri got in and swam in the chop for 15 or 20 minutes. Getting out of the lake proved to be a dangerous endeavor as barnacles and/or sharp cement claimed a little chunk of my foot and contributed to Michelle’s epic “swim crash”. The rest of Thursday was a relax and see the sites day. More great food with Beignets and café au lait for breakfast and an authentic Cajun dinner with Charlie and his wife Lisa. The rest of the night was a completely uneventful trip to Bourbon Street. Corollary to this, I can neither confirm nor deny any video of any Evotri team member riding a mechanical bull that may or may not appear on YouTube. Friday saw more members of the Evotri posse roll into the Big Easy. You might even say they were fresh on the scene…. ;) The big event of the day was a round table discussion with some of the Zipp sponsored pro athletes conducted by Stu. The all-star lineup included: Linsey Corbin, Heather Gollnick, Desiree Ficker and Chris Macdonald. Stu is pretty much a slave-driver and makes us do all kinds of work for him. I was forced to go over to Desiree Ficker’s hotel and walk her over to the loft where we were doing the discussion. I tell you the sacrifices I make for this team are deserving of saint hood! In any case, keep your eyes on the Zipp site for a really terrific discussion with these athletes. 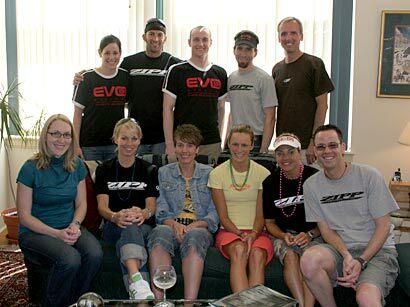 By Saturday the whole Evotri team plus friends Steve and Sarah had congregated at the IM NOLA House. Another practice swim with south winds was much less eventful. 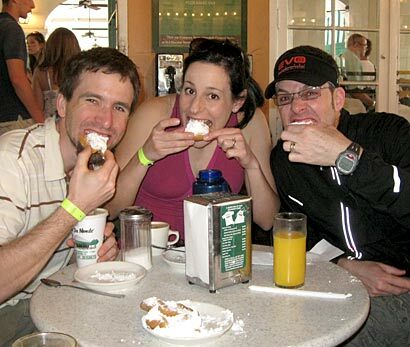 We made the required trip to Café du Monde for more coffee and Beignets (awesome)! 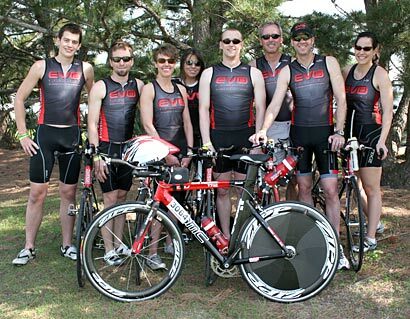 Getting all the bikes to transition and finally getting some good team photos were the priorities of the day. 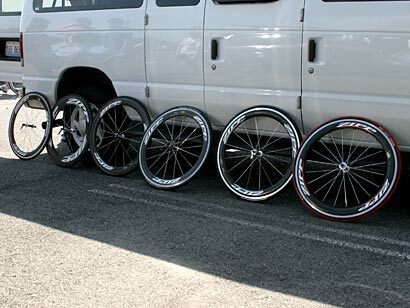 Unloading a van full of matching BMCs with Zipp wheels really made us look like a serious team. Steve shot some great shots of the entire team in uniform.